Antoni Gaudí. Before Gaudi's untimely death in 1926, about 25 percent of the building had been finished, including the famous Nativity façade (photo to the right). 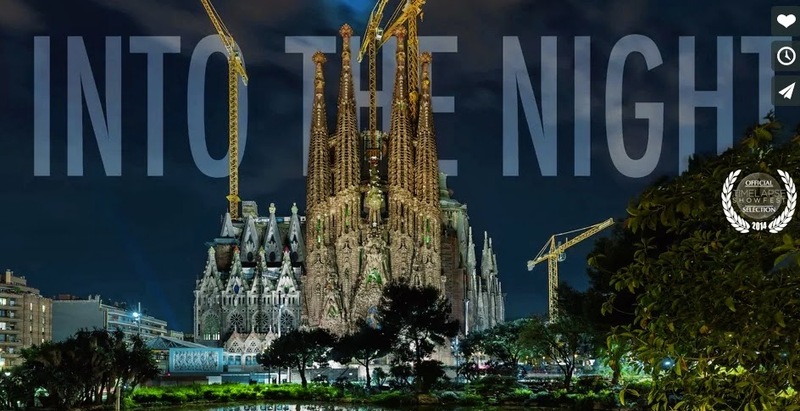 The basilica is slated for completion in 2026 to mark the centenary of Gaudi's death. 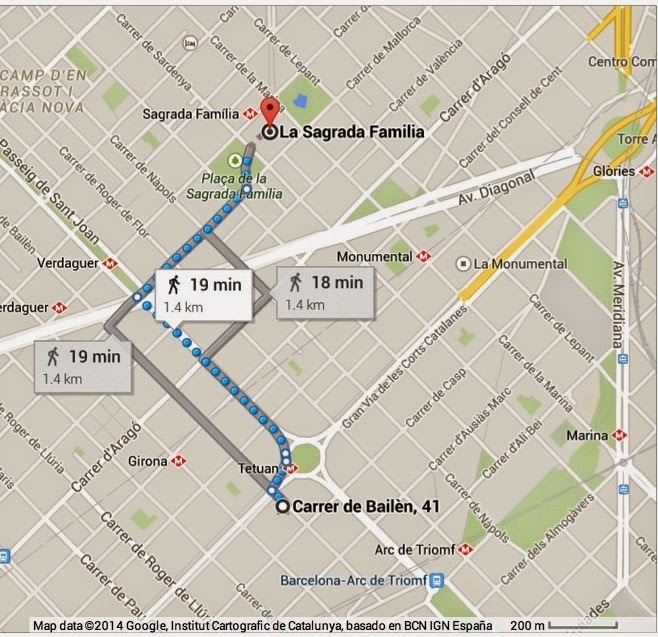 The Sagrada Familia is an easy 15-20 minute walk from Bailèn 41 (see map below). 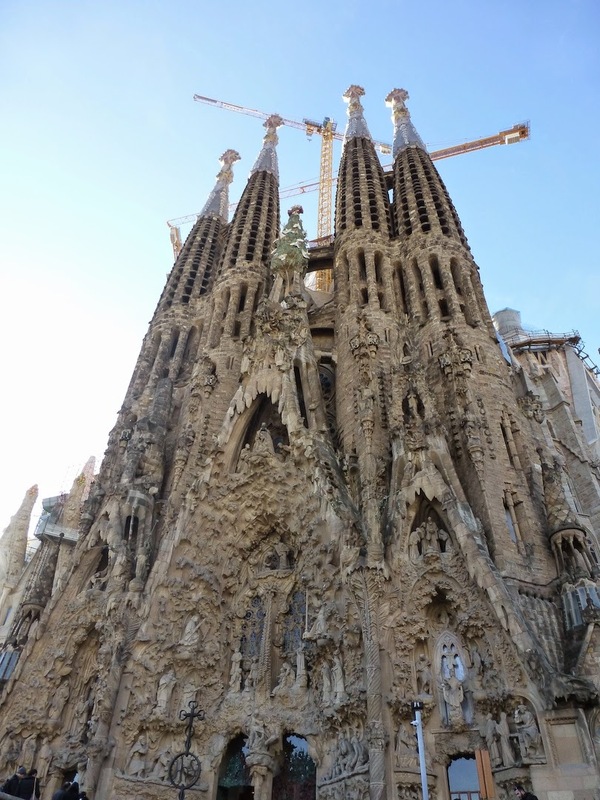 Alternatively, you can take the subway from Tetuan; the Sagrada is only one stop away. Avoid the lines (particularly long in the summer) by getting your tickets in advance. The self-guided tour via audiophone is a great way to experience the Sagrada at your own pace. In the meantime, enjoy this virtual tour. GREAT EXCURSIONS FROM BAILÈN 41! Click here to check availability & rates & book on-line via VRBO. Or contact us directly (see below). 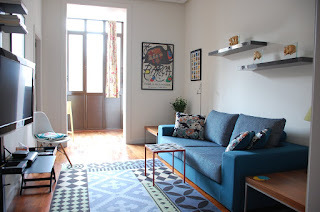 LOCATION: Carrer de Bailèn 41, between Gran Via de les Corts Catalanes and Carrer de Casp, short walks to subway lines 1, 2, and 4. LAYOUT: 1 bedroom with queen bed & large built-in wardrobe; 1 bath with walk-in shower; living room; galeria with café table looking out 18 linear feet of glass; fully equipped kitchen with dining table; back office with large desk area + extensive charging capabilities, safe, luggage storage. AMENITIES: elevator, central air & heat, cable TV & WiFi, dishwasher, washing machine & dryer, refrigerator, stove, microwave & blender, hair dryer, curling iron, rolling grocery cart, welcome package of gourmet goodies, all kitchen/bath/bedding necessities, including plenty of premier toilet paper & L'Occitane toiletries PLUS the very best neighborhood in Barcelona. 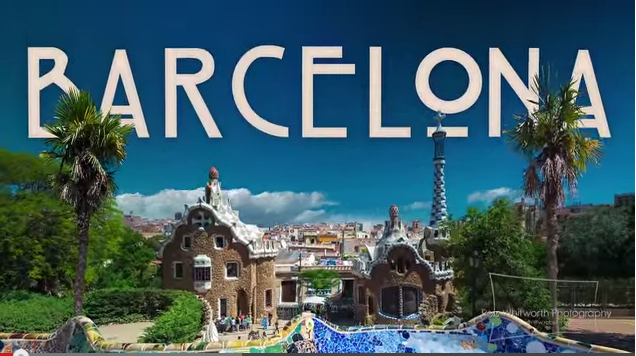 Plan out your Barcelona vacation in advance, starting right here! Bailèn 41 has partnered with VisitBarcelonaTickets to offer our guests the opportunity to book tickets on-line (many with special discounts) for a range of activities: Gaudí & modernism, sea & beaches, concerts & shows, food & wine tourism, sports & nature, culture, and more. 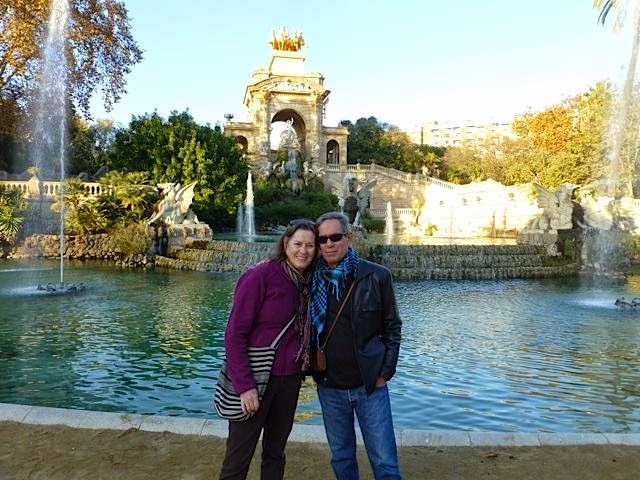 Linda and Kurt, the owner-operators of Bailèn 41, moved permanently to Barcelona in 2013 after trying out various places in Latin America, including Buenos Aires, Argentina, and San Miguel de Allende, Mexico, where we also owned and managed short-term rentals. When we travel, we like to stay in apartments because of the flexibility, convenience, and value-added they provide. We're sensitive to those special touches that make the difference between a short-term rental and a real vacation home, especially those involving cleanliness and order! We personally greet you on arrival and make sure you are oriented, are available during your stay for information and/or help, and check you out on departure. Please feel free to contact us with questions or for further information on concierge services we offer.